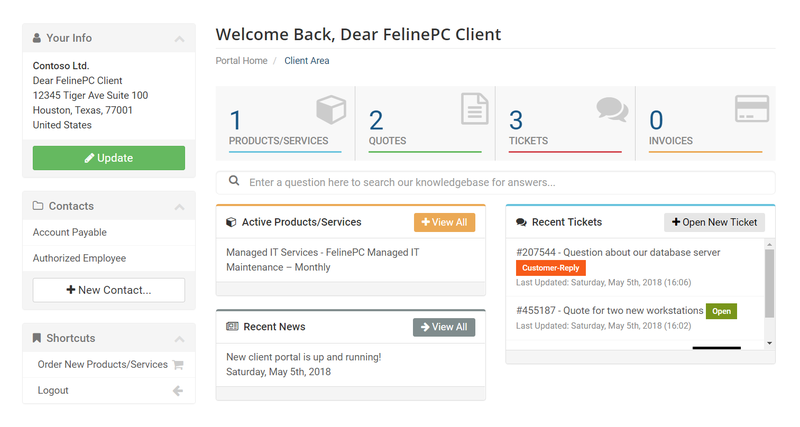 May 5th New client portal is up and running! stay tuned for more features on the way including web hosting and online store. If at any point you get stuck, please open a ticket or call for assistance. Thank you for choosing FelinePC!